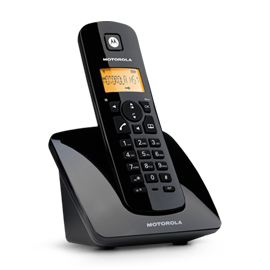 Cordless phones double as remote life safety annunciators, lending a helping hand to busy caregivers, and providing new paths to market for EST distributors. The telephone has emerged as one of the defining inventions of the 20th century. Our cell phones accompany us everywhere. At work the telephone is always within reach. Pagers and beepers track us down wherever we are. And at home the telephone remains the primary medium for exchange, whether through voice communication, or the Internet. It’s not surprising then, that the evolution of life safety should cross paths with the telephone. So far, the convergence has been limited to pager interfaces and autodial routines. But thanks to an innovative communications firm and a forward-thinking EST Strategic Partner, the marriage between these two vital links has at last been consummated. And the offspring of this union already shows promise of creating new opportunities and opening new paths to market for ESDs everywhere. The idea was to provide caregivers with details concerning the nature of the call each time their phone rings. The LCD on the phone would indicate whether the incoming call was a routine telephone call, a call for assistance, a potential health emergency, or a fire alarm. It would also indicate the source of the call: the name of the caller; their room number; or in the case of a fire alarm, the location of the first device in alarm. But this turned out to be easier said than done. “To my knowledge, there is no system on the market that could interpret all the inputs and transmit them to telephones with the level of detail the owners expected,” he says. Steberger had his work cut out for him. Nonetheless, with some available communications hardware, a good measure of customized programming, and some help from John Ventrella, the EST Strategic Partner who supplied the fire alarm system, Steberger pulled the telephone annunciator system together. Here’s how it works: an on-site computer monitors the RS-232 line from the EST2 panel for messages. When a message is received, custom software maps the relatively lengthy EST2 message to a database of pre-written shortened versions that can be accommodated by the telephone’s 2-line x 10-character display. The message is then relayed to wireless base stations located in utility closets throughout the facility. From there it is transmitted at 900 MHz to one or more cordless phones, depending on how the system is programmed to respond. At Liberty Manor the system is programmed to send emergency messages first to the phone most likely to be in the vicinity of the event. For example, if an event occurs on the third floor, the staff member on duty there will receive the call. If the call isn’t answered, it cascades to others in the building. Each phone has a charging base at a nurse station (called a wellness center at Liberty Manor) where it is kept when not in use. When a fire alarm event occurs, the phone rings and the message is displayed on the phone’s LCD. If a message comes in while the phone is inaccessible, the call cascades to the next priority phone. If the phone is in use when a fire alarm message comes in, the caregiver hears a beep and the message is displayed on the phone. Up to four messages can be queued on a single phone. Nurse call and regular voice calls follow a similar route. In the case of nurse call, the phone displays the room number from which the call came, as well as the occupant’s name. Inside calls also display this information, and external calls display the caller’s name and phone number transmitted by the phone company with its visual call display service. The Liberty Manor system also includes a medical emergency feature. If a phone is knocked off its hook and no buttons are pushed for 10 seconds, the caregiver receives an emergency message that displays the room number where the event took place. By the time Steberger approached EST Strategic Partner John Ventrella, president of System Sales Corporation, the life safety system at Liberty Manor was a done deal. “We’d already sold the job, so we had little to gain by sticking our necks out for this telephone link-up, says Ventrella. But he was intrigued by the concept and soon began to collaborate with Steberger on the project. And with assistance from EST Technical Services, the new team started to iron out the details. The first order of business was to isolate the phone system from the life safety system. This was essential in order to maintain its UL listing and ensure that the EST2 panel would not be affected in any way by telephones and their connected hardware. To achieve this, the team installed an EST IOP-3. This RS-232 optical isolator card acts as a buffer that prevents the data from backfeeding into the panel. It also electrically isolates the EST2 panel from devices connected to the RS-232 port, thus providing transient protection as well. Ventrella adds that, while the phones may act as fire alarm annunciators, they are not considered part of the life safety system’s design. “All the required fire alarm annunciators are installed at Liberty Manor in accordance with NFPA72,” he says. “The phones don’t replace any equipment, they only supplement it.” He also explains that fire alarm events can only be acknowledged from UL listed panels and annunciators. The phones cannot act on the life safety system in any way. The life safety system was brought on line and fully commissioned before Steberger’s part of the project was connected. This established a baseline level of performance for EST2. If, after connecting the telephone system to the panel, the life safety system encountered any problems or suffered any performance loss, fingers could point to the telephone system. But this didn’t happen. EST2 was oblivious to its new partner and the two systems operated flawlessly together. There was, of course, some tweaking to do. “There were hundreds of messages we had to map from EST2 to the telephone system,” says Steberger. “Each one had to be verified so that we could be assured that the telephone display would accurately reflect what the fire alarm panel was doing.” Before long, however, the system was up and running. Ventrella explains that custodians, maintenance staff, security personnel, and facility managers would all benefit from a system that allows their telephones to provide this kind of function. He also points out that any EST system and most telecommunications packages can be retrofitted with Steberger’s product to provide the features now in use at Liberty Manor. There is room for further development as well, according to John Ventrella. “Mobile phones could, in theory, be patched into the panel’s audio system as an auxiliary input,“ he says. “This would allow caregivers to page for assistance if their colleagues aren’t accessible by telephone.” He also points out that EST’s integrated security system could be configured to annunciate on the cordless phones as well. This system, due to be launched next year, comprises a new line of EST security products that will reside on the life safety system’s communications network. But the coordinated life safety/telecommunications approach also has the potential to forge inroads for ESDs directly into the customer’s arena. Steberger and Ventrella are now working on an EST2 specification that’s interwoven with the telephone package. This will allow them to pitch the fire alarm system much earlier in the building design process. Early enough to put control of system design and installation into their hands. They’ve even brought a licensed electrical engineer on-board to round out their consortium and position themselves to offer a turn-key telephone/life safety system. This also gives them the leverage to offer long-term life safety/telecommunications service in a way that effectively shuts out the competition. “Normally we would leave the installation of our system to the owner’s electrical contractor,” says Ventrella. “Proposing to the owner that we install it ourselves would put us into a competitive position with the same contractors who make up our customer base, and that’s not something we could do and still expect to survive in this business.” But Ventrella feels that the special circumstances surrounding a joint telecommunications/life safety specification could get him to the table with architects and owners without necessarily alienating the contractors. This maneuverability would make his proposal more cost-competitive while at the same time offering the unique features of the hybrid system – a double bonus for the owner, and an enviable position for any ESD. Ventrella also points out that owners and architects tend to pay more attention to their building’s telephones than the life safety system, which they readily leave in the hands of their electrical contractors. But by bringing the life safety system to the table along with telecommunications, he believes there is an opportunity to discuss the benefits of advanced systems face-to-face with the decision-makers themselves; an opportunity that would not otherwise have presented itself; and an opportunity to make a better sale. “If I had the chance to sit down with the architects and explain Signature Series analog or the implications of EST’s multiplex audio, I know they would sit up and take notice,” he says. To sweeten the pot for building owners even more, Paul Steberger’s design proposal includes the opportunity for them to turn their telephone systems into cash cows. “Typically, owners of assisted living facilities charge back long distance calls to their tenants, but leave basic telephone service for the tenant to work out with the phone company,” Steberger explains. “Our system makes it possible for the facility owner to provide both basic and long distance service.” Steberger adds that this will generate revenue for the building owner throughout the life of the system. “In two years the income could pay for the whole system, including fire alarm,” he says. Not surprisingly, a lot of interest in the system has already been generated. “Architects are intrigued,” says Ventrella. “We’ve already got two other proposals on the go and the full specification isn’t even finished yet.” With the current boom in the assisted living industry, he expects a lot more to come from this new approach.